Connie is a huge cow, weighing over 2,000 lbs., 62" tall, and one of the finest total performance cows of any breed! VG(89) @ 2-04, VG Across except EX Dairy Character. Rose has perfect udder cleft & teat size and placement. 2-0 2x 365d 29,144m 4.8% 1410f 3.9% 1137p 1.58 SCS!! Rose is the highest type index dtr. of an EX(94) All-American on the Top 110 CPI Index List (5/02). Rose is Dam of REQUEST, BB KCN sired by CONQUEST! REQUEST, aAa 513642, will sire width and strength. 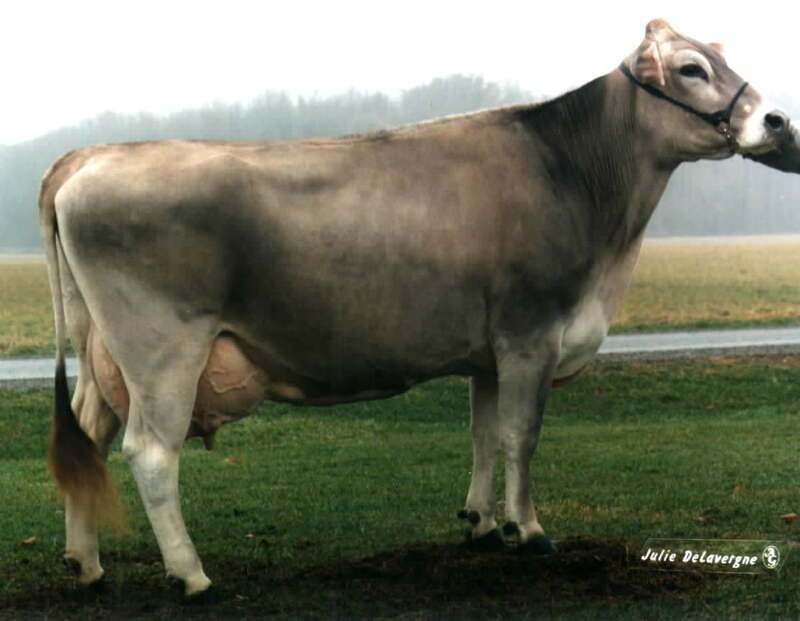 Jill is Dam of JULIO,Now highly proven in Switzerland and the US, No. 35 PTI Sire. JILLION, Jewel VG(89) EX Mam., JAMAICA,BB Kappa Casein , Jillisa & Jillquest VG(87)over 30,000M @2yr. 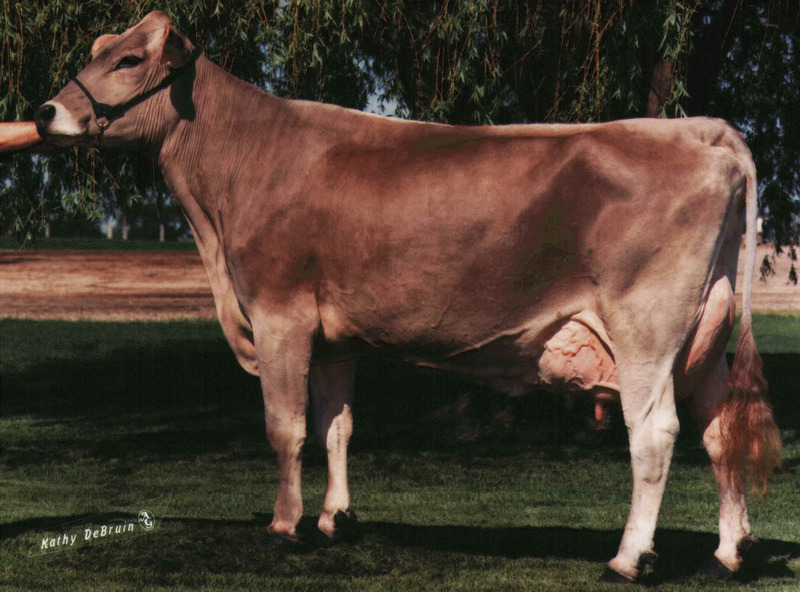 These 6 cows combine the best of the Christine, Priscilla, and Riki families. 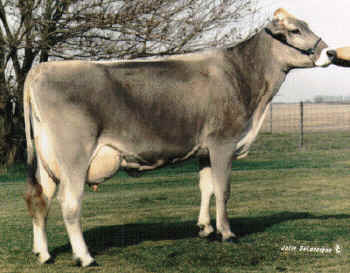 Of course, the C's and P's are two of the most dominant families in the Brown Swiss breed today, with the Riki family being a nice outcross. Their accomplishments include No. 1 Cow Index cows, world records for Milk and Protein, and outstanding proven sires and All-American results. For more information, click on CONQUEST, REQUEST, JILL, JULIO, JILLION,& JAMAICA. These elite sires from the Crown Jewel Collection are available around the world. We are looking for additional distributors in all areas. Contact us today! Copyright 2002-3-4-5 � Flatness International, Inc.